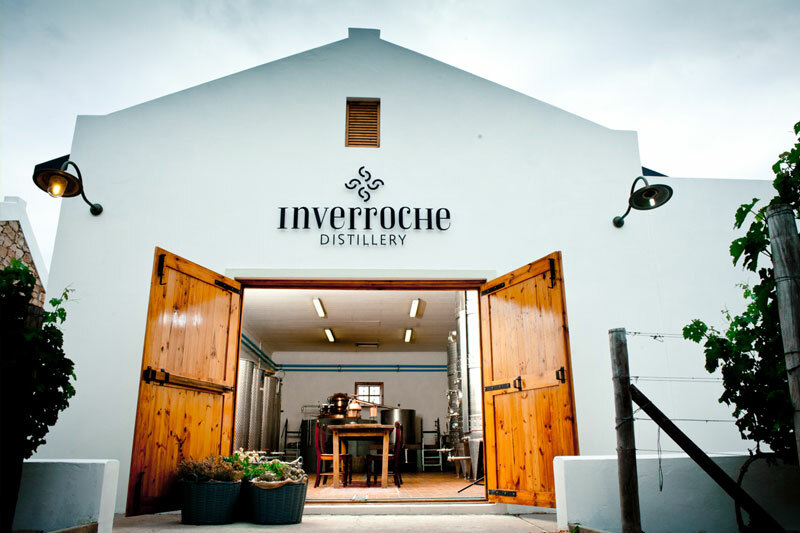 Inverroche is a family owned, artisan distillery located just outside the coastal resort of Stilbaai on the southern coast of the Cape. It is a region rich in natural beauty with rolling hills of pristine limestone and mountain Fynbos, dune thicket and Renosterveld and surrounded with rugged mountains and indigenous forests. Nature’s extraordinary bounty of aromatic medicinal and culinary herbs, flowers and berries which grow in and around the Scotts property in Still Bay, inspired Lorna Scott and her son Rohan to develop a range of uniquely South African gins. Mini-Meg a miniature copper potstill sat on the Scott’s kitchen table for three years and through trial and error a range of Fynbos gins were born. Combining traditional botanicals – (juniper, citrus and spice) with the exotic and aromatics from the leaves, blooms and berries of selected Fynbos. Inverroche is the first gin distillery in South Africa, and the only one that focuses exclusively on making gin from traditional fynbos.